Named for the way that they “bridge” the gaps between teeth lost to trauma or decay, bridges restore your smile’s health and beauty by placing durable artificial teeth where your natural teeth are missing. If your missing teeth make you feel self-conscious, or you’re noticing problems with speaking, chewing, or other everyday tasks, ask Dr. Morris or Dr. Archambo if a bridge may be right for you. 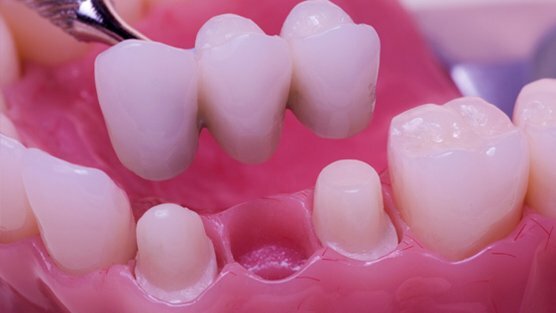 Created and only able to be removed by your dentist, bridges offer a comfortable, semi-permanent option that can enhance your smile and improve the health of your natural teeth.